This year's British Academy Games Awards, BAFTA was held yesterday and “What Remains of Edith Finch” won the best game. The director of the game Giant Sparrow won the award for the second time, he took an award for its debut game “The Unfinished Swan” in 2013. The developer of “Hellblade: Senua’s Sacrifice” Ninja Theory won the biggest winner for the night. Senua’s Sacrifice is a dark fantasy action-adventure game, the game received five BAFTA awards, including artistic achievement, audio achievement, British game, and game beyond entertainment. The actress Melina Juergens who played the role as Senua won in the performer category. 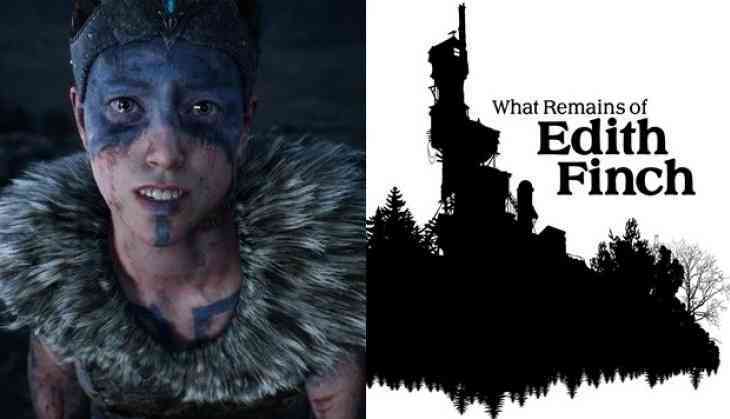 Last year, “Hellblade” gained appreciation for its portrayal of a character with mental health issues. “Cuphead” Development Team – StudioMDHR Entertainment Inc./StudioMDHR Entertainment Inc.
“PlayerUnknown’s Battlegrounds” Development Team – PUBG Corp/ Bluehole, Inc.
“Stranger Things: The Game” Development Team – BonusXP, Inc./BonusXP, Inc.
“Cuphead” Chad Moldenhauer, Jared Moldenhauer – StudioMDHR Entertainment Inc./StudioMDHR Entertainment Inc.